No need for super powers to see what's in these bags! 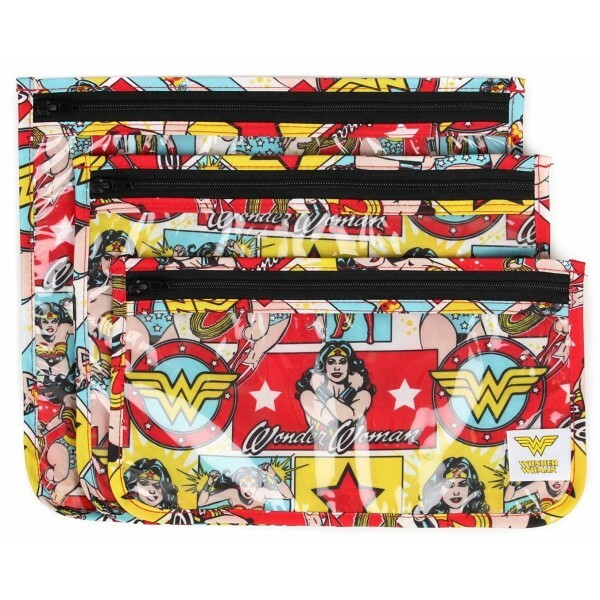 These fun travel bags from Bumkins bring a little Wonder Woman style to your carry-on or suitcase. Lightweight with a clear front, these travel bags are TSA compliant and stash easily into carry-on bags. 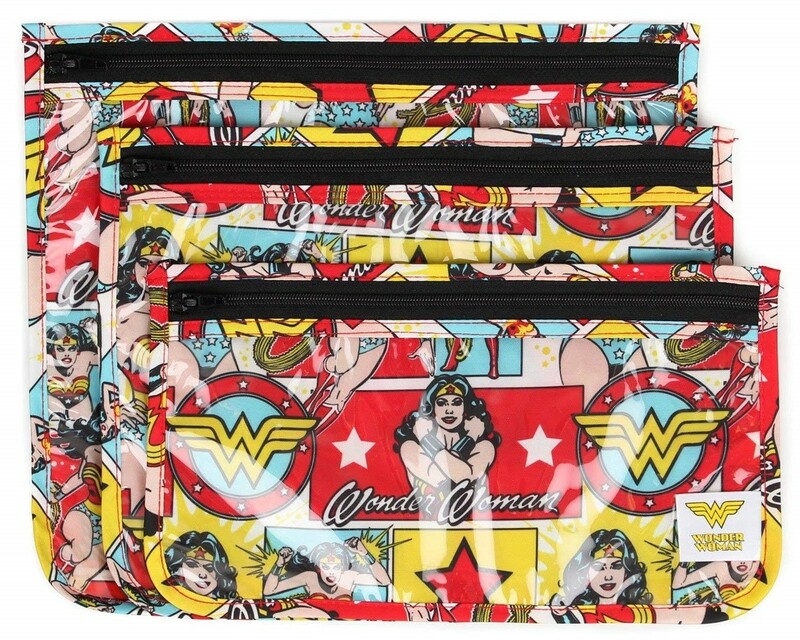 They're made from easy wipe, stain and odor resistant, waterproof fabric and are BPA, pvc, vinyl, phthalate and lead free. Each set is made up of three bags in different sizes, making packing and organizing easy; the large bag is 9.5 by 8.5 inches, the medium bag is 9 by 7 inches, and the small bag is 9 by 5 inches. For more girl-empowering bags, packs, and travel gear for all ages, visit our Bags & Packs section in Kids Gear.